Should Jaguar Build The C-X75 Concept? 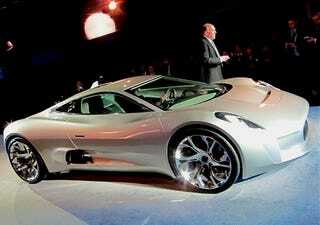 Jaguar is studying what it would take to put the C-X75 concept from the Paris Motor Show into production. Translating its 780-hp turbine/electric setup could take years, but Jaguar engineers promise no XJ220-like power switch. Should Jag take the leap?